Is there anything more refreshing than cold, filtered water straight from the fridge? Studies have shown the numerous health advantages of filtered water, including reduced exposure to water-borne pathogens, industrial chemicals and pharmaceuticals, as well as the preservation of essential minerals. Moreover, built-in water and ice dispensers are a welcome convenience for your family, and they are a great eco-friendly option to reduce the number of plastic bottles you use. The water filter is responsible for removing impurities and odors that can diminish water quality, and which can be potentially hazardous to your family. So, if you want to continue to enjoy clean, healthy and refreshing water from your fridge, you need to care and maintain your refrigerator water filter. 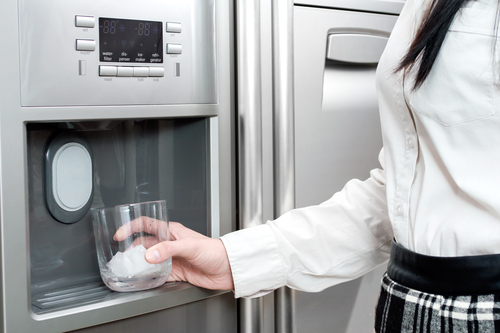 To streamline the process for you, here are some handy tips and tricks for refrigerator water filter maintenance. The most efficient way to ensure the water you are getting from your fridge is the highest quality is to regularly inspect both the water and the filter. A good rule of thumb is to inspect the water filter when you clean out your fridge every month. Check the appearance of the water, as well as the connective tubing and the filter. Removing the water filter is an easy job. Most refrigerator filters are easily accessible, and once they are disconnected, they automatically shut off the water supply to prevent leaks, meaning you don't have to go searching for the main supply valve. However, if you are unsure, always check your refrigerator manual. There are a couple of ways filters connect to the fridge that will determine how you need to take them out. The first is a twist cartridge that is usually located at the front of the refrigerator and can be removed by simply twisting the cartridge a quarter turn counterclockwise, then pulling the cartridge out of the housing. The second filter is a push-in style, found in either the bottom grille at the front of the fridge or inside the fridge in the drawer or at the back of the top compartment. To remove a push cartridge, press the button to release the filter, and pull it out. 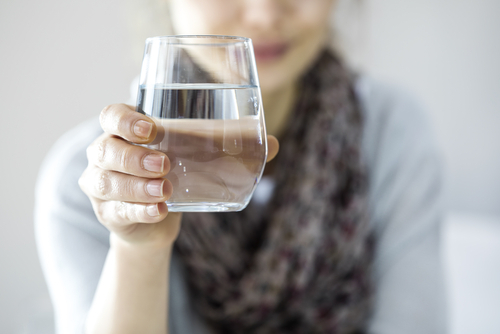 The average household, if the occupants consume approximately six to eight glasses of water daily, will need to replace its water filter every six months. However, this can depend on the general water quality in your area. Hard water or poorly treated water can wear out filters faster than usual, which is why it is essential to inspect your filter regularly if you are unsure of the water composition in your area. Many recent-model fridges have a warning light as an indicator for when to change your filter. But there are also other ways you can tell when your filter needs to be replaced. If there is a noticeable drop in water pressure, this could be an indication the filter or tubing is clogged with debris, or if you notice small particles floating in the water. To replace your cartridge, you will need to know the exact model number to ensure the new filter is compatible with the fridge. An easy way to do this is to note the model number located on the side of the filter. Jot down the number for easy reference next time you change the filter. Installing a new filter is as easy as removing the old filter and inserting the new one. Check that the filter is properly positioned in the housing and the connections are secure. As a reminder of when to next check your water filter, record the last date of installation on your phone or desk calendar. As most fridge water filters are carbon-based, after you have installed the new filter, you will need to run a couple of gallons of water through the machine to remove any residual carbon. If your fridge also has an ice machine, you should discard the first two to three batches of ice. If you are not satisfied with the quality of the water from your standard carbon filter, you may consider a water filter replacement system that better suits your needs. 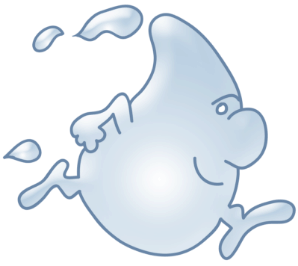 Just like many other appliance parts, your refrigerator water filter wears over time with frequent use. To guarantee your family always has access to clean drinking water, check and replace your water filter regularly.